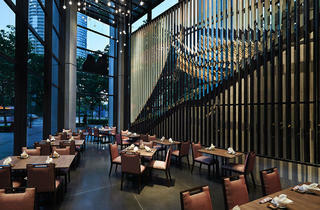 Note: Kampachi at Troika is now closed. 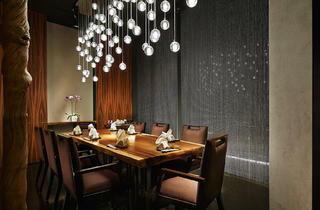 Kampachi is by no means a budding business, but only one of the most acclaimed Japanese names in town. 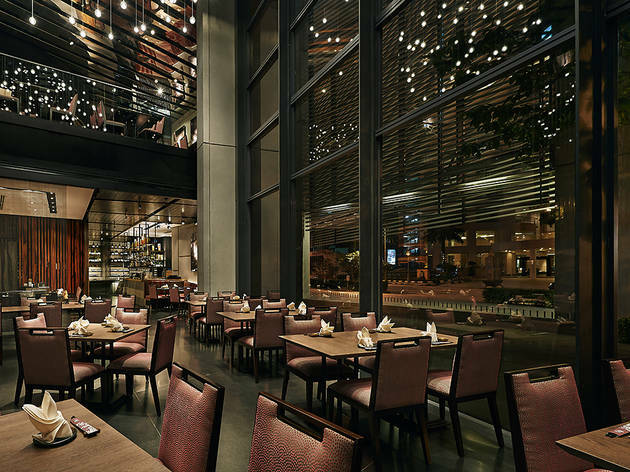 It snagged three Time Out KL Food Awards titles and has hosted many business lunches at its former, now-closed primary outlet in Hotel Equatorial. The new outlet at The Troika. The setting is as good as it gets; a hundred sparkly bulbs suspend from the double-heighted ceiling, moody lighting bathe the sprawling wooden tables, a thick troll-sized door closes off a rather charming private room, towering glass panels reflect the Twin Towers and a sushi bar displays heads of tuna and other fresh, pink fish. Head upstairs for more mystery and also, where the teppanyaki counter is. 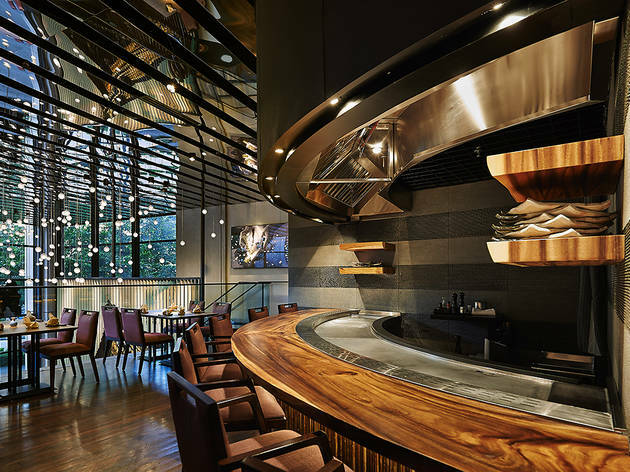 If you’re lucky, you’ll see the teppanyaki chefs put on knife-juggling theatrics. 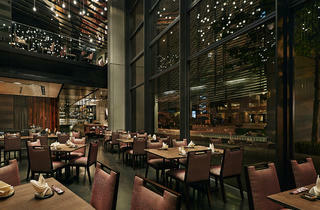 The food will bring you straight back to the much-lauded Hotel Equatorial days and safe to say, is of quality standards. The star is most surely their signature soba noodles. Kampachi might possibly be the only Japanese brand in KL that serves handmade soba; each strand is springy, mildly chewy and rightfully exciting. Where fish is concerned, sashimi is air-flown from the Tsukiji fish market in Tokyo, only the biggest wholesale fish market in the world. The sashimi vendor that provides to Kampachi (bless the man) sells exclusively to Kampachi, a sign that every delicate slice of tuna belly is discerningly picked. If the menu overwhelms, do it omakase-style. Allow the chef to present you samples of dishes in small portions; all you do is sit down and eat. This way, you get a little of everything in one night. 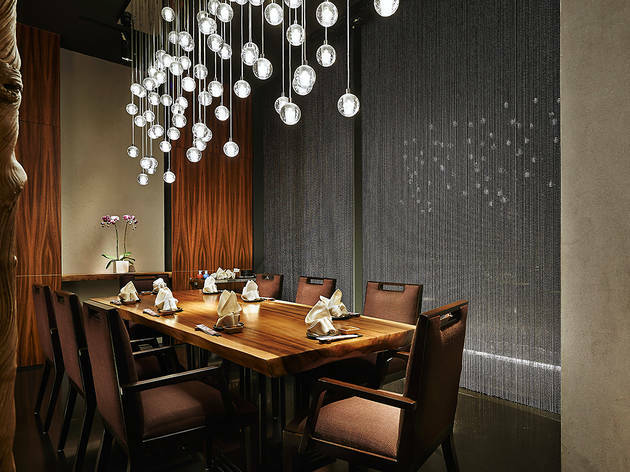 A seven-course omasake meal (including things like grilled rock fish marinated with miso and pan fried foie gras with simmered winter melon) will set you back about RM350++. The menu is seasonal, so while you can expect the signatures to stay put, the specials rotate. 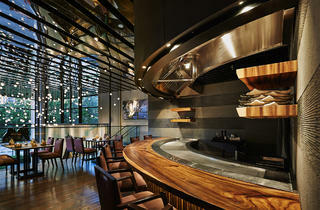 Kampachi was voted Best Japanese in the Time Out KL Food Awards 2009, 2011, 2012 and 2013. 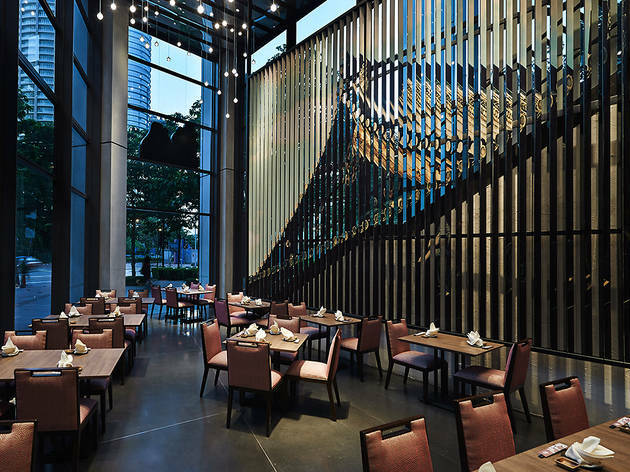 Executive chef How Yoke Seng was named Food Personality of the Year in 2013. The restaurant was shortlisted in the same category in 2010. Our food awards are 100% voted for by the people of KL. This way, we guarantee that popularity and consistent performance are rewarded.